One of my earliest childhood memories is waking up at 4.30am on a Saturday morning to watch the Boks play the All Blacks in NZ. When I was a lightie (for those non saffas – a youngster! ), it was my dad who would get me up, cook us breakfast and make the coffee and wake me up when I dozed off. As the years passed, roles changed and it was me setting the alarm, getting coffee on the go and waking dad if he dozed off. So it’s always been a dream of mine to watch the Boks play in NZ and to follow them round in a world cup was just indescribable. 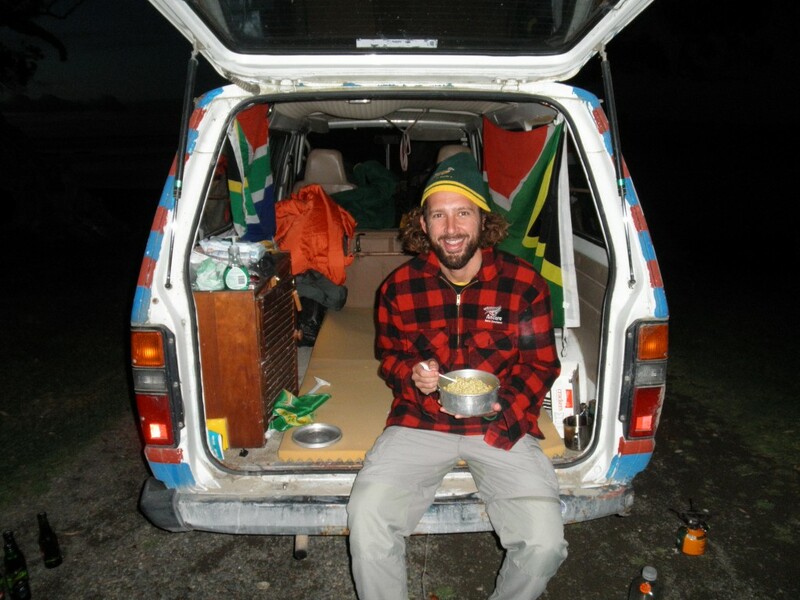 And to do it whilst living out of a painter’s van was something else! Dyl met a guy in India back in April and, long story short, John said we could borrow his van as he was out of the country during the rugby. So Dyl and I bought a US$3 mattress from the salvation army, stocked up on a gas cooker and a ridiculous number of packets of 2 min noodles and tins of baked beans and lived out of the back of a van for 2 months while we followed the boys round the Land of the Long White Cloud. What an experience. And John, you’re a legend my man. Thanks again so much. The original plan had been to bring my old man over for the Bok pool games but unfortunately, this didn’t work out. Dad, I wish you had been able to join me but it was just not to be. I really missed you and I would have loved to enjoy the cup with you. PG we’ll watch the Boks together on a grand slam tour. To be fair though, I’m not sure you would have fitted in the van with us! 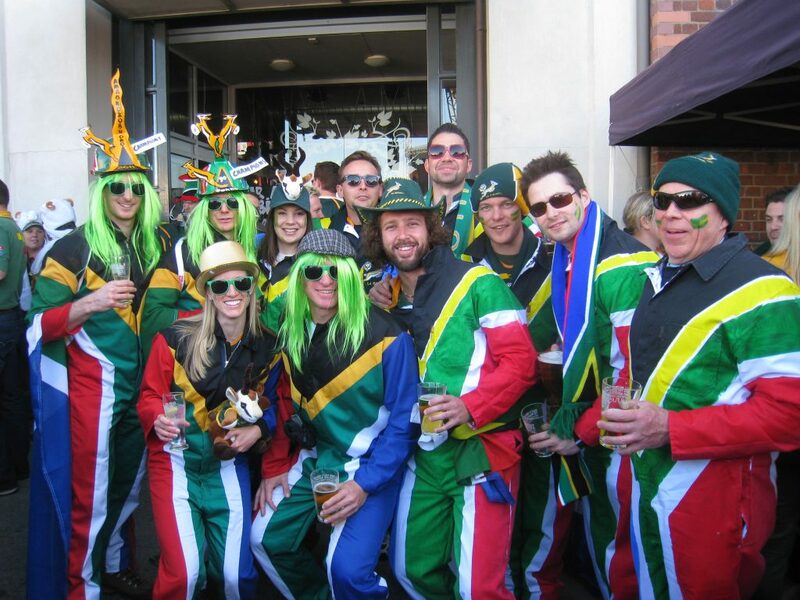 I arrived in Wellington a few days before the Boks kicked off their campaign and, before moving into the van which Dyl was driving down from Auckland, couch surfed with just a wicked bunch of ppl. Days were very chilled with lots of conversation round the house, heaps of tea and coffee drinking, the odd jamming session (yours truly just watched as the piano, guitar, violin and bongo drums were whipped out) and the occasional wander about town to see the awesome city and sort a few things out. You could feel the excitement building in the country with rugby talk everywhere and watching the opening ceremony and game at the fan zone was brilliant. So … the Boks kicked off their campaign with a lucky 17-16 win over the Welsh in a windy and bloomin’ cold Wellington. 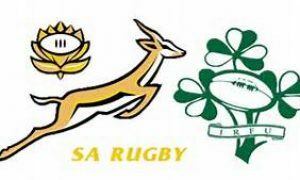 We were definitely lucky to win this one and, as time would tell with the Irish beating the Aussies, we would have rather lost! It was much like Delhi back in March (when the Proteas kicked off their world cup campaign) as I had butterflies in the stomach hrs before the game and just couldn’t contain my excitement. 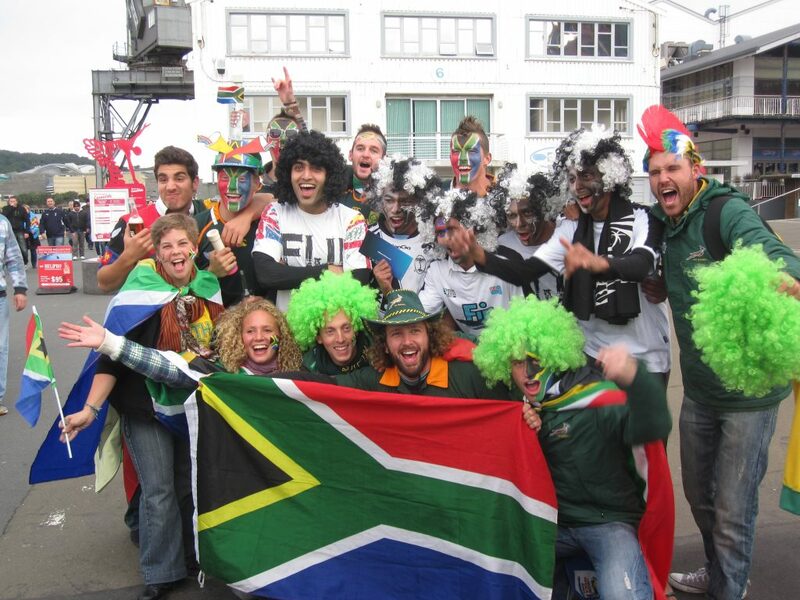 The atmosphere was electric and walking to the stadium to watch the Boks play in NZ was something I’ll remember forever. Speaking of India, the contrast between the 2 world cups was huge. 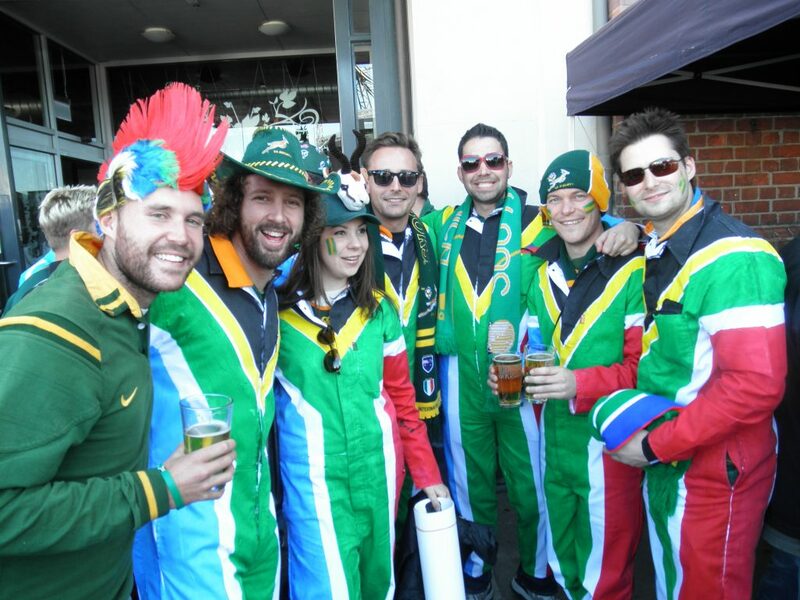 While it was absolutely amazing following Biff (aka Graeme Smith) and the boys round India and Bangladesh, you didn’t always feel like there was a world cup going on. Unless India were playing. And then it was special. But in NZ, you ALWAYS knew about the rugby. Every car and house had a flag, every shop window a show of support and every farm a “Go AB’s” sign. On the south island, you’d drive for hrs and not see a car on the road but the farms would all have huge “Go AB’s” signs on their fields. Towns even changed their names with the home of Colin Meads becoming Meadsville for 2 mths. One small town put up life size posters of a player from every country on its street lights and changed its name to Rugbyville … love it! Back to the rugby … after a week road tripping on the south island, we were back in Welly to watch the boys look superb in beating the Fijians 49-3. We had an amazing crew of ppl walking with us to the game and the singing and chanting on the 30 min walk to the ground was unreal. Thereafter we headed north on a few road trips as we followed the boys to Auckland where they hammered the hapless Namibians 87-0 and defeated the tough Samoans 13-5. The end of September was upon us from nowhere and things were now getting serious as we headed back to Wellington for the QF’s. Our QF clash against the Aussies brought back memories of Bangladesh (how did we lose that?) as we dominated every facet of the game only to lose the one that really counts. Absolutely gutted just about begins to describe the feelings watching the boys lose 11-9. 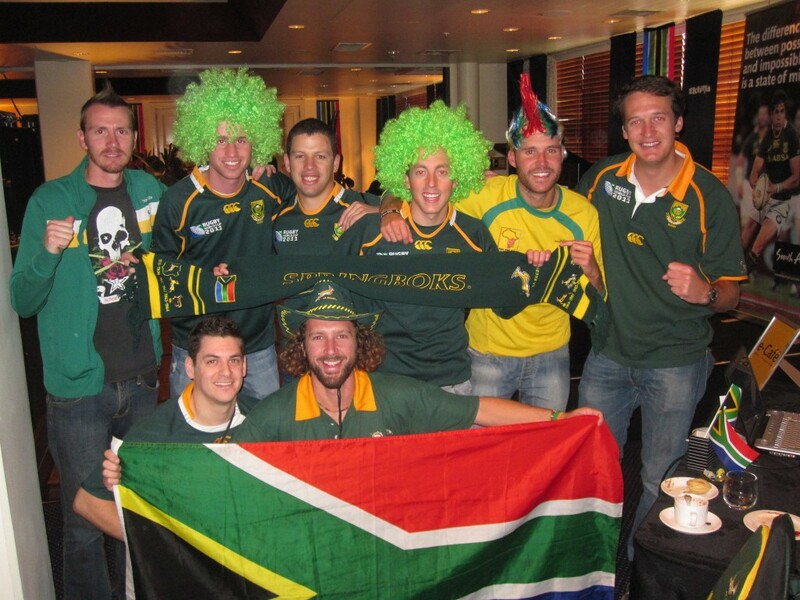 The dream had been to watch the boys play the AB’s in the SF and seeing that dream dashed was so tough to stomach. It felt surreal waking up the morning after and realising almost all over again that the dream was over. What’s it with me and QF’s?? In addition to the 5 Bok games, we watched the French defeat the Canadians in Napier (where we spent the night dancing with groups of smurfs and chanting Allez les Blue) and the Samoans defeat the Fijians at Eden Park. 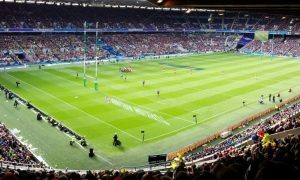 We also caught the 1st QF where Wales (Waaaaales, Waaaaales, Waaaaales) played superb rugby to beat the Irish as well as both SF’s. What a night that was in Wellington with the Welsh and Irish fans. While the 1st SF (France vs. Waaaaales) was a total disappointment, watching the AB’s defeat the Wallabies at Eden Park was very special. 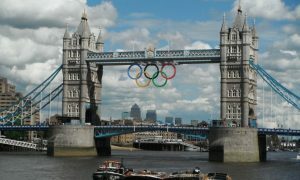 The atmosphere was incredible and it was a real privilege to be there. At the same time, the heart was definitely heavy as I knew that it should really have been us that day. The final itself was epic and while France probably deserved to win on the day, overall NZ definitely deserved it. The tension in the country was palpable and you kinda felt that if the AB’s hadn’t pulled it off, there would have been riots or something. Thankfully they did and it was 1 hellava party in Auckland. I’ve said it many times before and I’ll keep saying it – what makes a country is the people one’s with and I was so lucky once again. It was something special traveling round with that biscuit of a boy, Dyl. In addition, there were so many lads in town for the cup – a few I’d seen a yr and a bit ago, others I hadn’t seen in years and a few I only got to really know during the rugby. 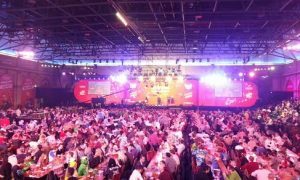 Many of the lads were in town for either the whole tournament like myself or a good portion of it and we shared many large nights together. I also met phenomenal people whilst in NZ – people from both NZ, and all over the world, who were traveling round the Land of the Long Whiter Cloud. Boys and girls… you all know who you are 🙂 I had the most phenomenal 2 mths in NZ and you guys really made it. Finally, as mentioned above, there were lots of road trips in our painter’s van in-between games and I managed to see a fair bit of this awesome country. But I’ll save that for the ‘country‘ blog.